Austin: Lewis Hamilton moved a step closer to his fourth world championship on Sunday when he won the United States Grand Prix, coming home ahead of his nearest title rival Sebastian Vettel. The 32-year-old Briton, who started from a record 72nd pole position, recovered after losing his advantage at the start to regain the lead and steer his Mercedes to his ninth win this year, his fifth in Texas and the 62nd of his career. Four-time champion German Vettel came home second for Ferrari and with three races remaining trails Hamilton by 66 points in the drivers’ title race. If Hamilton wins, or finishes anywhere in the top five, in Mexico City next weekend, he will be champion. Hamilton’s victory, with Mercedes team-mate Valtteri Bottas finishing fifth, confirmed the team as constructors champions for 2017 and for the fourth consecutive season. 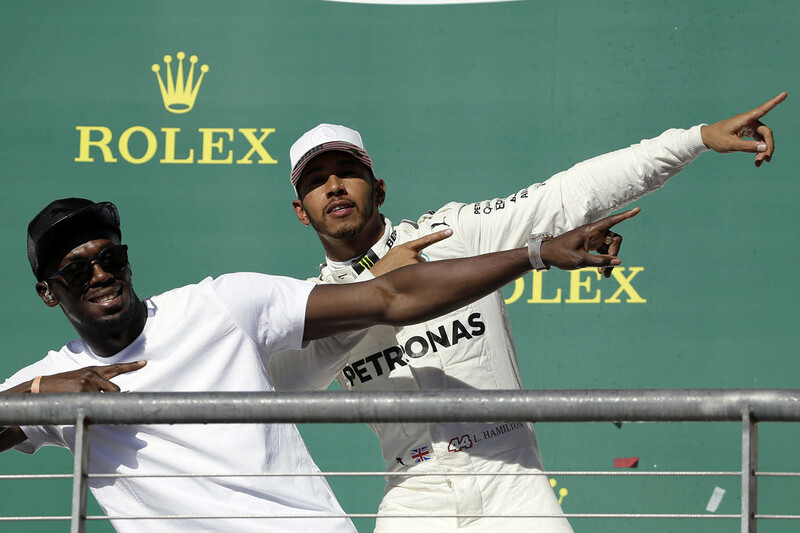 “What a beautiful day,” said Hamilton, interviewed on the podium by multiple Olympic sprint champion Usain Bolt. The move was investigated immediately by the stewards who gave Verstappen, who had already gone to the podium ceremony waiting room, a five seconds penalty that cost him third and lifted Raikkonen back to third for Ferrari. All this meant that Verstappen finished fourth ahead of Bottas, Frenchman Esteban Ocon of Force India and Spaniard Carlos Sainz who finished seventh on his debut with Renault following his move from Toro Rosso. Brazilian Felipe Massa finished ninth for Williams and Russian Daniil Kvyat 10th in the second Toro Rosso. After a savage overnight rainstorm, the race began in dry and warm conditions with an air temperature of 24 degrees Celsius and the track at 33, near perfect for a big crowd that included former American president Bill Clinton. When the lights went out, it was Vettel who had the best getaway and he held off Hamilton, who had been on pole, as he tried to respond into Turn One. The Ferrari soon pulled clear to lead by 0.8 seconds and increased it to a second by the end of lap two with Bottas scrapping hard to resist a determined Daniel Ricciardo to retain third. After a few laps reassessing his position, Hamilton picked up his pace and clocked fastest laps before regaining the lead on lap six with a move that appeared to catch Vettel by surprise. He surged into position and then with the aid of his Drag Reduction System (DRS) outpaced him at the end of the back straight. Further back in the field, Verstappen, who started 16th, rose to eighth and was carving through the traffic, soon reaching sixth place by lap ten. Red Bull teammate Ricciardo suffered an engine failure which ended his race after 16 laps.